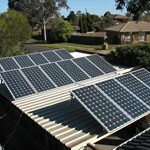 Switchboards and meters - are they solar power system ready? In order to install a grid connected solar power system at your premises, you will need to have a compatible switchboards and meters. The following will help you determine if your switchboards and meters are compatible. We also supply approximate pricing for upgrades if required. 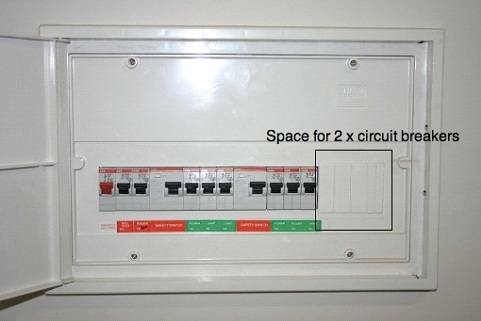 Switchboards are the part of the building where the circuit breakers or fuses are housed. They may be in the same enclosure as the electricity meters or located separately from the meters. For example, near the entrance to the house or garage. In most Australian states, houses constructed since at least 2002 will have a compatible switchboard. However, two spare spaces are required for solar breakers. If only one space is available the electrician can often upgrade without significant work. IMPORTANT: If you determine your switchboard does need upgrading, then consider the cost of doing so. Not just part of your solar power investment. This will help ensure your house’s overall electrical infrastructure is as safe as possible. Thus, protecting your assets and more importantly, your family. 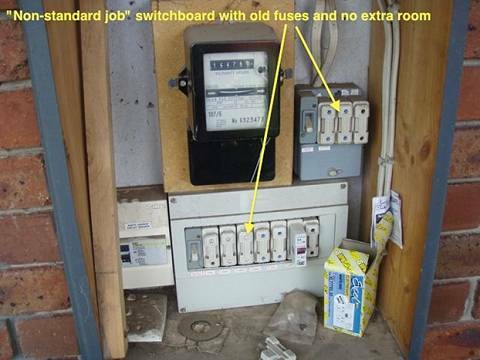 Old switchboards can be a fire risk and a shock hazard! The following photos show a variety of switchboards where upgrades may or may not be required. All relatively recently built homes have a compatible switchboard type. A standard installation is one where two blank “poles” (spaces) are available for the solar circuit breaker to be installed. In some situations (depending on the install location), one “pole” may be sufficient. While this switchboard is full, 2 lights may wire into the one switch to make room. Or an additional housing could slot in to the right. Upgrade with additional housing. 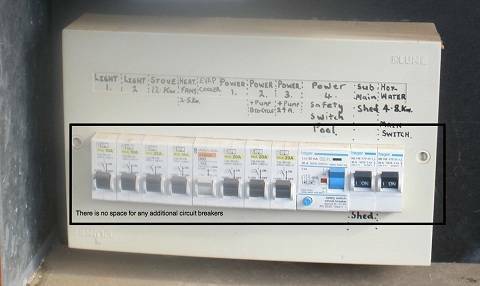 If there is no space for additional circuit breakers in the board, another housing could possibly slot in next to the existing one. If fuses are present, then the switchboard will require a major upgrade. Fuses are an outdated and less effective form of circuit protection. Please note: costs mentioned below are only approximate and are based on best available information at the time of publication. If your switchboard does require upgrading, a certified electrician will be able to ensure your switchboard is compliant. We do not include this additional work as part of our solar contracts. An accurate quote can come from our electrician/contractor on/or before the day of installation. To access the full value of the electricity that your system generates, it’s a requirement that your meter change over to a two-way (bi-directional) meter. This is one that not only reads your consumption, but the amount of electricity you’re exporting to the grid. A system installation may occur prior to the bi-directional meter. But in the interim, any surplus power you generate will spin your current meter backwards. I.e. just provide a credit at the current market rate. Costs vary by state and distribution network provider. If there is a cost, your electricity retailer pays it and includes it on your next electricity bill. Energy Matters does not perform the changeover, but will assist in meter changeover arrangements. Please note: costs mentioned below are only approximate and are based on best available information at the time of publication. Switchboards and meters: Need to know more? Do you have further questions about switchboards and meters in relation to solar power? Contact our friendly team for advice.